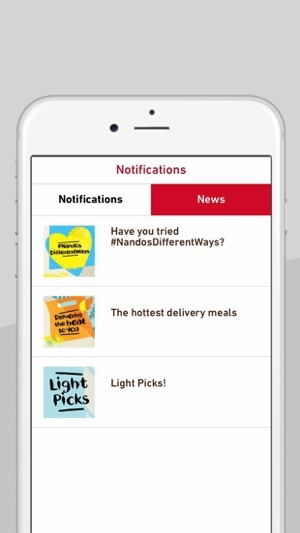 Satisfy your App-etite with the official Nando’s app. 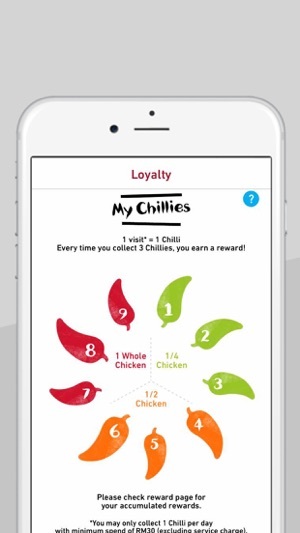 From getting rewarded with free chickens, to finding your closest restaurant, the app is packed full of features that you’ll love. 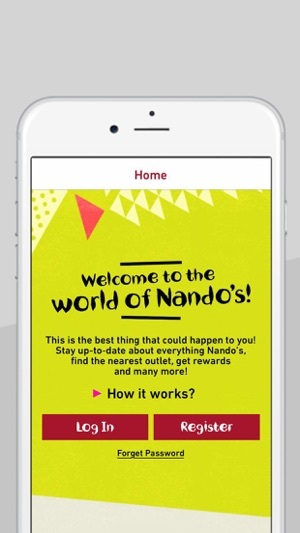 Go on, download it now for your fix of PERi-PERi goodness! You deserve rewards. Time to reap some chillies. 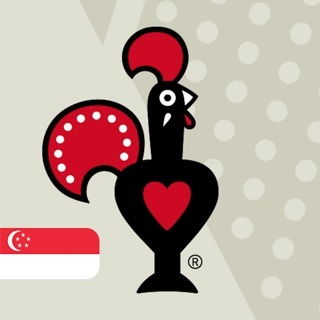 For every 3rd, 6th and 9th Chili, you’ll get a free chicken! How awesome is that? Register now! Whether it’s to feed the office or a party (or yourself! 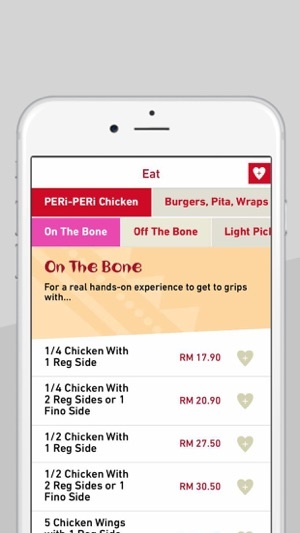 ), we will be delivering the PERi-PERi heat to you, right from your fingertips. We’re a few clicks away. 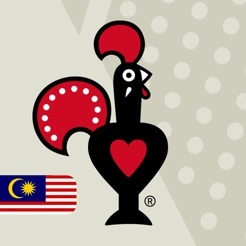 Need that PERi-PERi fix urgently? 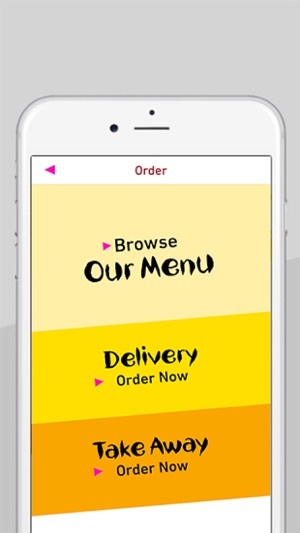 You can now place your take away order on the app, and pick up some PERi-PERi Chickens on your way! 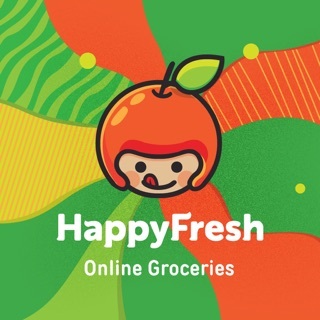 Check out the full menu on the go. Plus, you can keep track of your calories intake with the built-in calorie counter! You never know when a Nando’s craving might kick in. With our Restaurant feature you won’t need to worry. 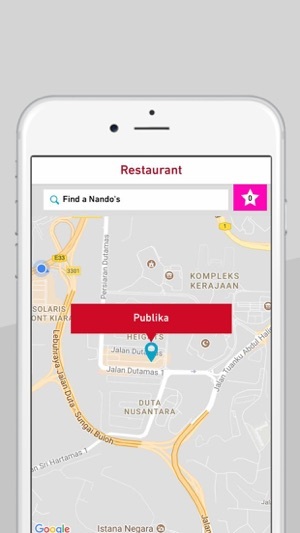 It’ll tell you exactly where your nearest restaurant is no matter where you are! Feel like saying hello or something wasn’t quite right? Fire off a message direct to our Customer Experience Team and we can help.